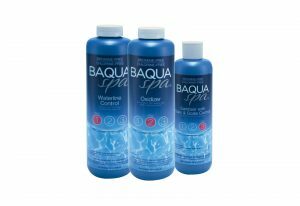 Crystal-clear water and long-lasting bacteria control make BAQUA Spa® Water Care System a refreshing difference! It is bromine-free and chlorine-free, giving you the ultimate aaahhh experience. BAQUA Spa® leaves the skin soft, is gentle on bathing suits, has no harsh odor and is easy to use. The BAQUA Spa® Water Care System has everything you need, including an easy-to-use three-step, three-product system and a full complement of spa care products. 1. Prevent with BAQUA Spa® Waterline Control. 2. Clarify with BAQUA Spa® Oxidizer. 3. Sanitize with BAQUA Spa® Sanitizer with Stain & Scale Control. BAQUA Spa® OxidizerA liquid oxidizer consisting of specially stabilized hydrogen peroxide. Keeps spa water sparkling clear by oxidizing organic compounds. 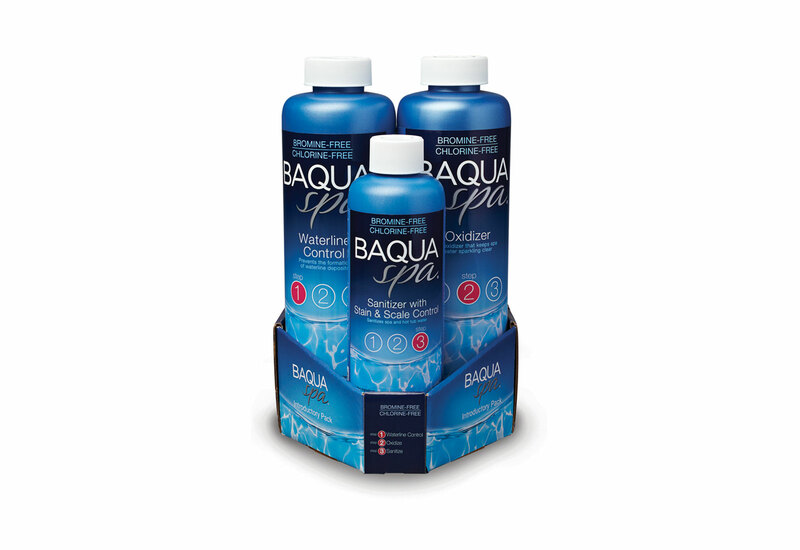 Step 2 of the BAQUA Spa® 3-part system. BAQUA Spa® brand balancers help to keep your spa water balanced. These products are fast and effective so that you can spend more time enjoying your spa. 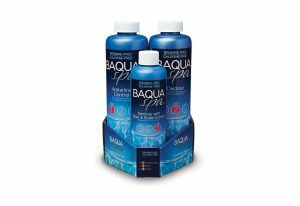 Offering cleaners, defoamers, clarifiers and more, BAQUA Spa® maintenance products will help you get the most out of your spa experience.